Israel’s gross domestic product grew at a rate of 3% in 2017, according to a preliminary estimate published on Sunday by the Israeli government’s Central Bureau of Statistics. The growth was driven by an increase in private and public consumption expenditure, fixed investment and the exports of goods and services. Israel’s GDP growth in 2017 is greater than that of France and Canada (2.8%) as well as Germany (2.1%) but is below India and China’s (7% each). In 2017, consumer spending in Israel rose by 3%, following a 6.1% increase in 2016. After making a deducting to account for population growth, private consumption per capita increased by 1.1%. Private spending on durable goods decreased by 11% per capita. Israeli population grew to 8.8 million in 2017, a 1.9% increase. 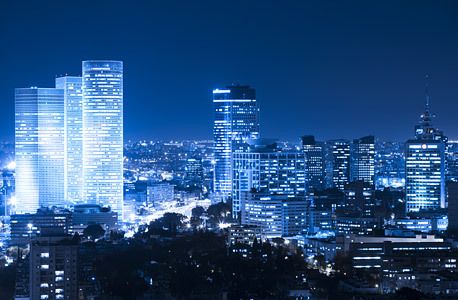 Israeli GDP per capita rose by 1%, now standing at approximately $41,350. Israel’s GDP per capita remains far below the equivalent figures for the U.S. (1.5%), Germany (2.4%), and India and China (about 6% each). Israeli government general consumption expenditure rose by 2.8% this year, following a 3.9% increase in 2016. The rise in general consumption shows a 3.7% increase in civilian spending, while military expenditure remained stable.